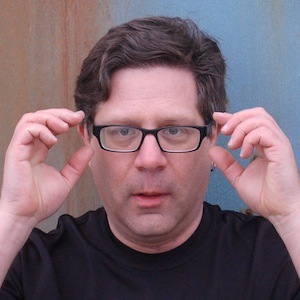 Steve Portigal is no stranger to Fluxible. He presented his fine “The Designer Is Present” workshop at Fluxible 2013, and is now the very first speaker to be joining us for a return engagement. Sequels are hard to get right, though. Will he deliver the UX equivalent of The Godfather: Part II or of Jaws 3D? We’re betting on the former! Steve helps companies to plan strategically for user research and to unlock their team’s research superpowers. He is principal of Portigal Consulting, author of Interviewing Users: How To Uncover Compelling Insights and host of the Dollars to Donuts podcast. Much as he may retain a fond affection for southern Ontario, Steve makes his home in the San Francisco Bay Area where there’s always a new ramen restaurant to check out. We think that might be a good thing. Maybe it’s what Jaws 3D needed? Stay tuned for further announcements about details of Steve’s session at Fluxible.